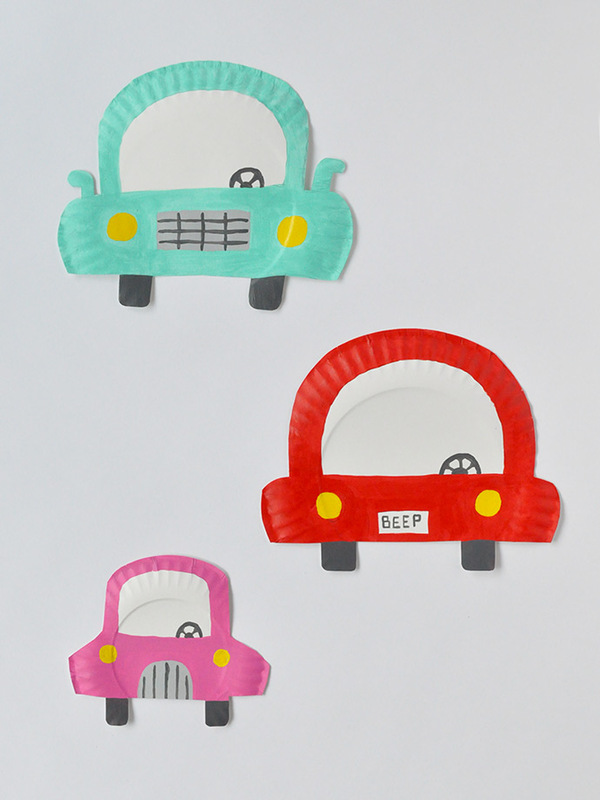 Beep beep – out of the way, paper plate cars coming through! 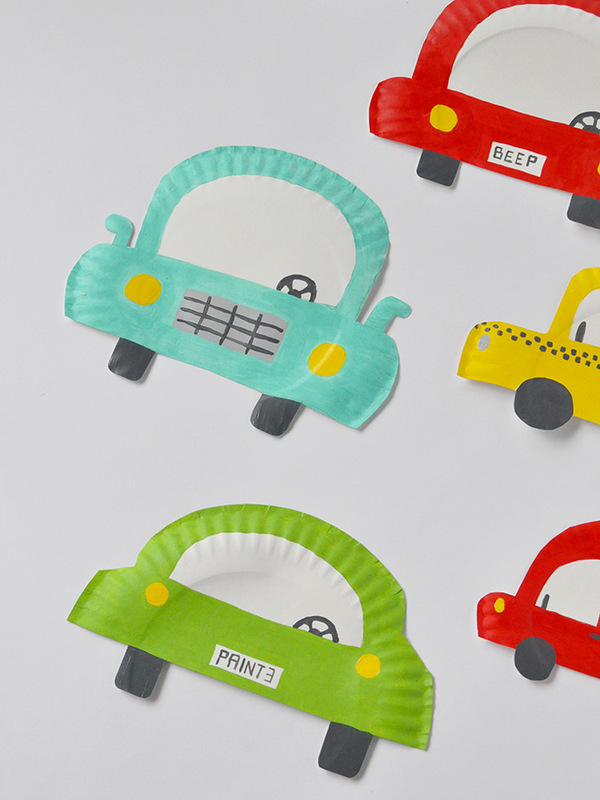 We are serious about how much we love crafting with paper plates and today we’re back with yet another – this time, car-shaped paper plates! 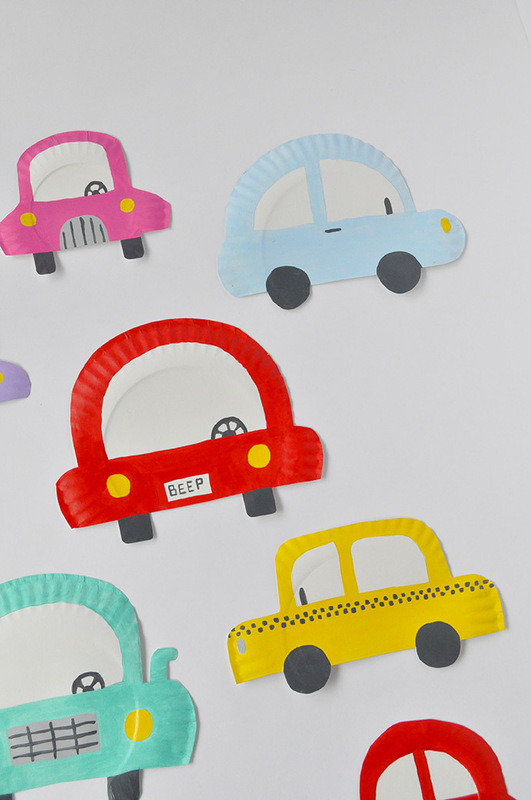 (And in case you want to take a look at a few past projects, check out these paper plate llamas and paper plate fish!) 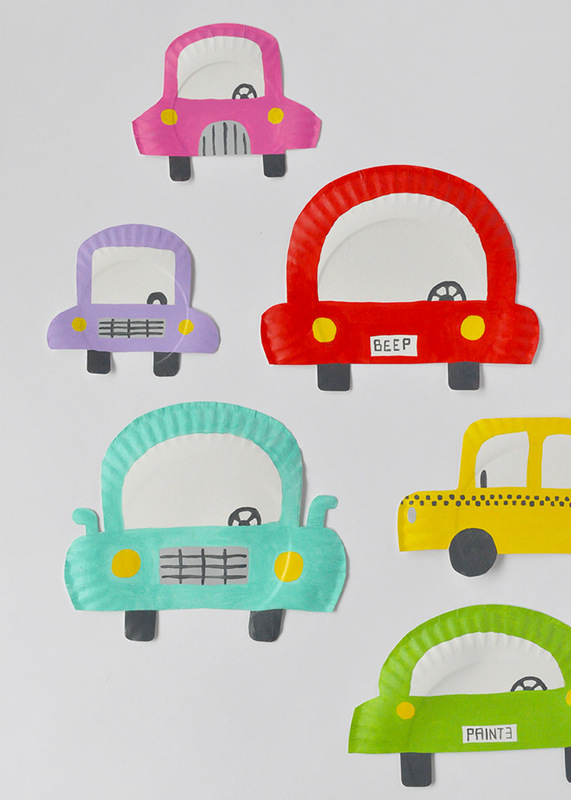 As usual with paper plate crafts, you can seriously get creative and use whatever colors and shapes you like. You can’t go wrong! 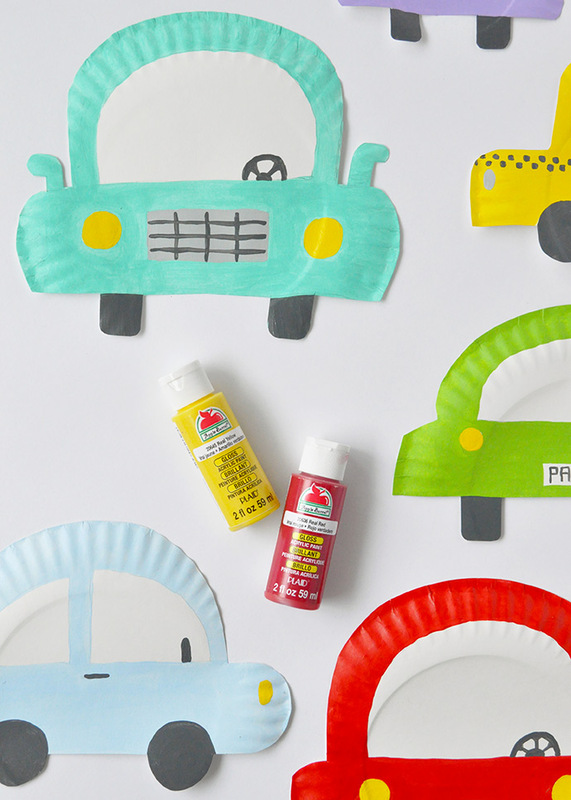 We used our set of Apple Barrel Gloss paints, which was absolutely perfect for this bright and colorful cars. You could get even more ambitious and not only tackle cars but all sorts of vehicles: motorcycles, trucks, trains … just make sure you leave enough space so that you don’t end up in a traffic jam! Keep reading for the full instructions as well as some tips and tricks below. 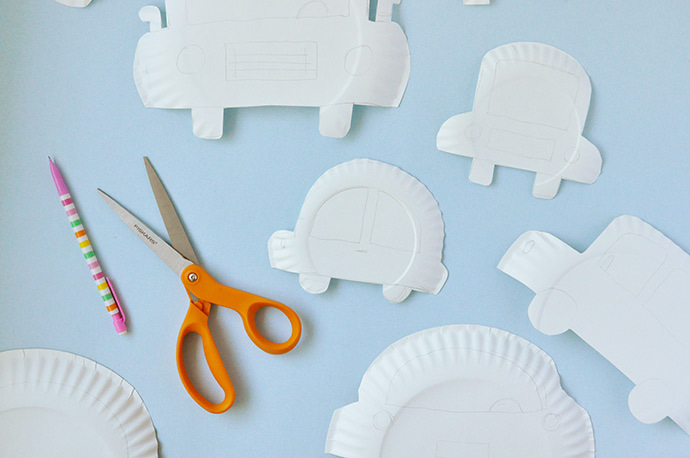 Sketch out your cars onto plain white paper plates. There are no rules here, so get creative! 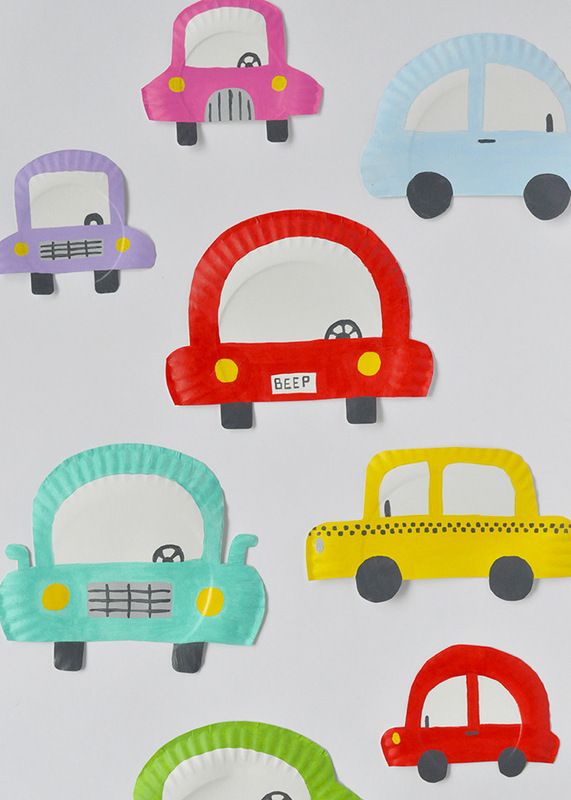 We did an image search on Pinterest for inspiration – try searching something like “kids car illustrations” for ideas that are fun and simple to recreate. Once you’ve drawn out the shapes using pencil, cut them out. 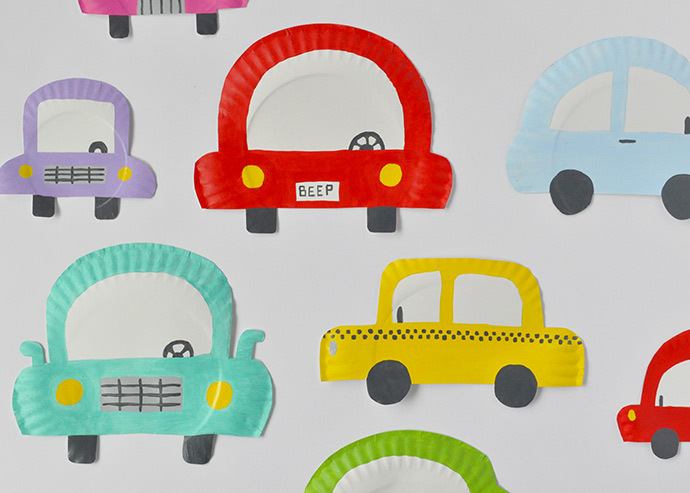 Note: As usual with paper plate crafts, we prefer to use the super thin white paper plates you can find at most dollar stores or even the supermarket. These are the perfect thickness that they stay stable but are easy enough to cut through as well. 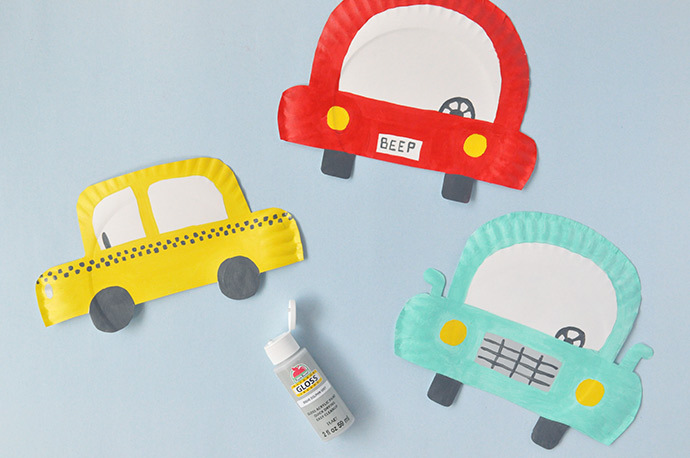 Once all your vehicles are cut out, it’s time to get painting! Start with a base coat of the main color and let that dry. It’s okay if this first coat overlaps some of the other details like the wheels and lights, but if you want to keep the windshield and windows white like we did, try to keep those areas unpainted. Once the base coat is dry, add on your details! 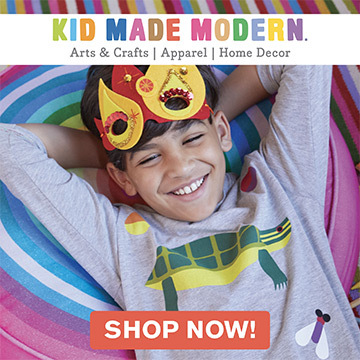 Depending on the shape and style of your car, you can add headlights, tail lights, tires, steering wheels, racing stripes, grills, license plates, you name it! Once you’ve painted up all the cars, let them dry completely. 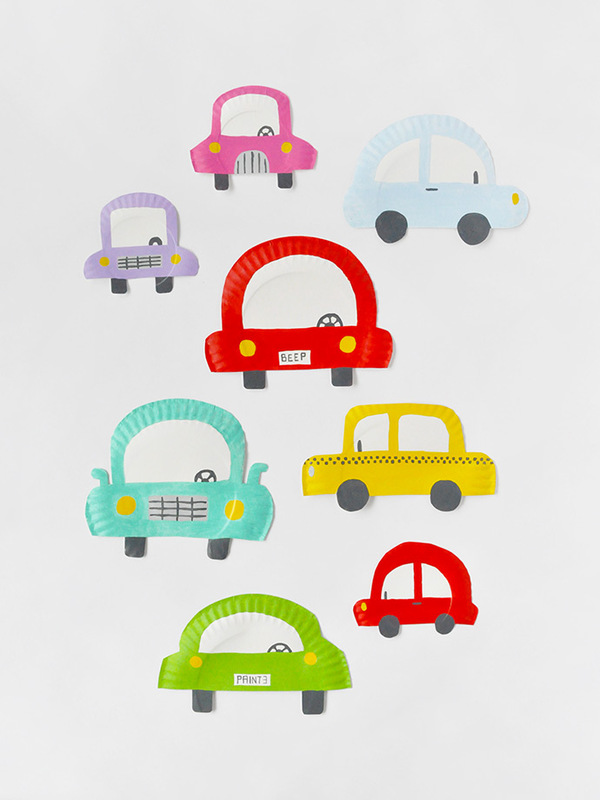 The finished cars can be taped onto the wall as decoration or put a jumbo popsicle stick on the back to turn them into puppets!